The RJ Classics Rebecca shirts feature wicking and stretch body fabric keeps riders UPF 50 sun protected, cool and comfortable to ensure ultimate performance. 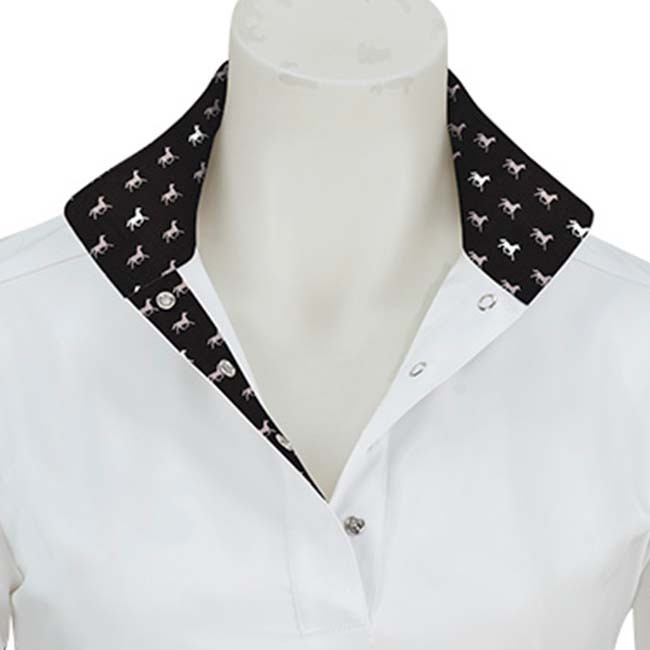 This RJ English riding shirt has a pullover design and snap closures for the athletic look. The white mesh underarm and back detailing will help to keep the rider cool and comfortable while always looking stylish. 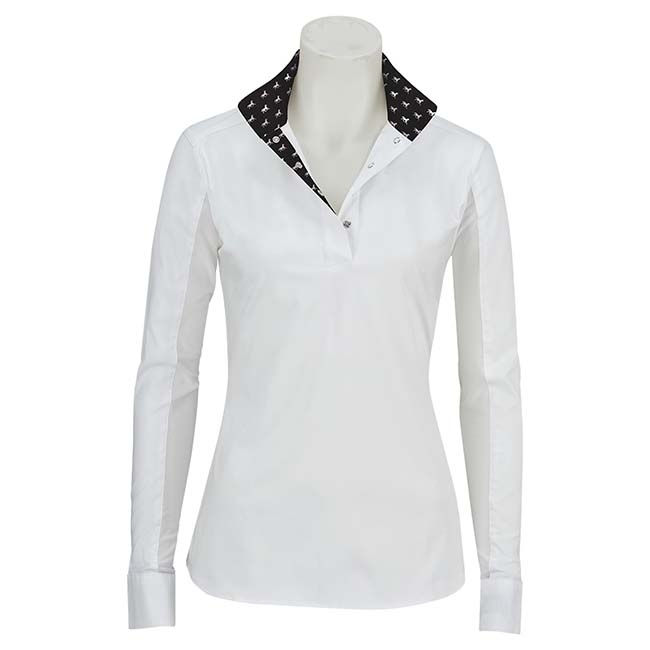 The contrast trim fabric finishes off the winning look of the RJ Rebecca women's shirt.